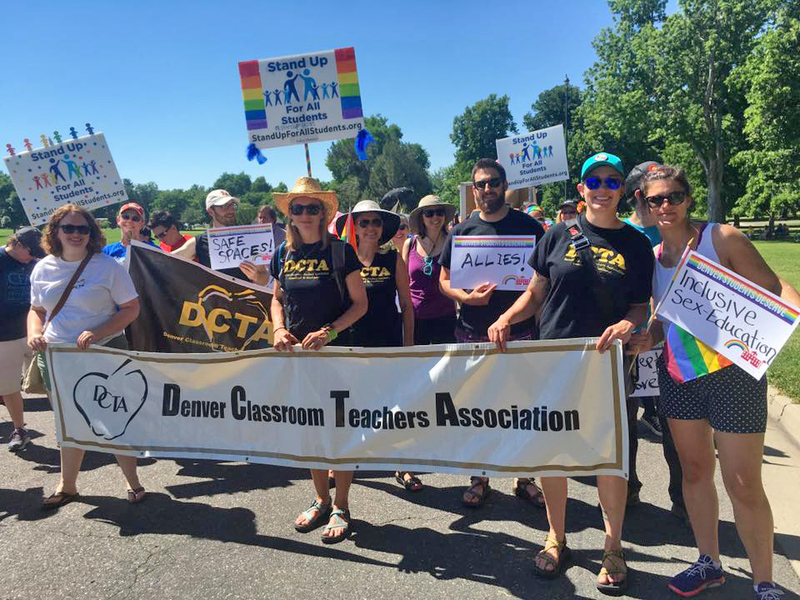 Belonging to the Denver Classroom Teachers Association brings many rewards and benefits, both professionally and personally. First and foremost, membership in DCTA – and its partner organizations, CEA and NEA – creates strength in numbers and the collective bargaining power to fight for improvements to our student, educator and special service provider learning environments. Working together, everyone achieves more. In addition, DCTA educators gain access to a wealth of professional growth opportunities. Members are also eligible for a variety of group discount opportunities and deals that translate into thousands of dollars saved on home financing, credit cards, insurance, vacations and more. DCTA promotes programs that support educational excellence and equity. Through collective bargaining and our own initiatives, DCTA focuses on areas that enhance student achievement, increase multi-cultural awareness and promote collaboration in support of student success. Both the NEA and CEA provide support to DCTA in the bargaining process with DPS. Our highly trained Bargaining Team works to ensure that our voices are heard on the issues that affect all members and students. In this way, we actively seek to create positive teaching and learning environments that support student success. In addition to the other benefits of belonging, DCTA members also enjoy many discount programs and perks. Free Notary Services are also available at the DCTA office. In addition, members of CEA and NEA also gain an array of great benefit options. Click here to learn more about NEA Member Benefits. The easiest way to join DCTA is online, but you can also complete and submit a membership form at the DCTA offices. In addition, eligible individuals can enjoy benefits of membership in our secretaries’ union (DAEOP) by clicking below. Finally, retired DPS educators can receive valuable benefits through DCTA-Retired.